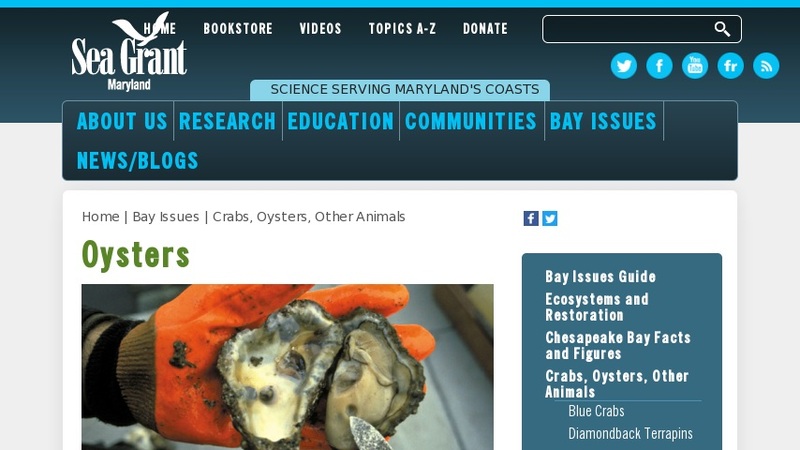 Provides a history of the fishery for American oyster (Crassostrea virginica) in Chesapeake Bay, the debate over oyster farming vs. hunting, and numerous articles on oyster management. Research and restoration section includes oyster biology, research questions, technical training opportunities, step-by-step oyster gardening instructions and more. Non-native oysters are covered in species profiles, reports and position papers. Education resources include 4 lesson plans with background information, labs and experiments; NSTA SciLinks selected materials.